As a business owner, you already know how important it is to track your employees’ work, make payments efficiently or streamline operations in a structured way. All of these things and more can be achieved by equipping your business with a POS system. Designed to take over manual tasks and process them faster, Point of Sales (POS) systems simplify work for many stakeholders. Companies are able to track inventories; employers are more efficient with payments, bills, reports; and customer satisfaction increases with less time spent in queues and more loyalty programs. Deciding which ePOS solutions you need for your business takes time, energy and a lot of research. For that reason we are here to help you determine what is that you really need for the type of business industry you are operating in. For example, if you are a restaurant owner, we have ePOS solutions and suppliers that can accomodate your needs such as mobile checkout. Part of these solutions are known as mPOS systems (mobile Point of Sale). Read more to find out how much will it cost you and what kind of software and hardware you need when purchasing the right ePOS for your business. If you are looking for an ePOS system that will best match your business needs and will improve your business' performance, simply fill in the contact form. We will provide you with free, no-obligation quotes. An ePOS system or Electronic Point of Sale system, in its most basic function, takes over the tasks of a cash register - counting, registering transactions, printing receipts. However, it can also be part of a bigger system within the business - integrating back office, recording sales, managing relationships with customers, ordering and much more that can help you optimise your day-to-day operations. You might think the difference is as little as the letter e that stands for electronic, but ePOS systems are much more advanced than their predecessors traditional points of sale. Electronic points of sale systems use software for advanced operations and analytical transactions. 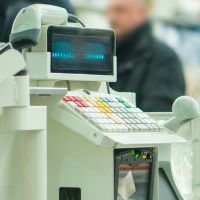 The components are the till - you might know it as the cash register or money drawer - plus other peripherals such as barcode scanners, customer displays, printers, touch screens, or weighing scales. With an ePOS system it is easier to track and categorise your inventory, what needs to be ordered, and what items are redundant. An ePOS machine is designed to make checkouts faster and card payments more convenient. This can improve the whole point of sale and provide you with higher customer satisfaction. One of the best advantages of ePOS systems is the ability to optimise them. Therefore, you can update your systems according to the complexity of your daily operations. Depending on your business’ necessity, purchasing an ePOS system will have different costs. The features, the hardware and the brands will make the biggest difference. For example, if you already have the hardware, the costs will be the additional fees for the ePOS software. In addition, many suppliers will ask you to pay a monthly subscription fee to use the services. On average, in the UK the fee is £35 per month. If you are not interested in purchasing ePOS systems just yet, you have the option to rent them. Renting ePOS terminal can start at £25, depending on the provider, and it will request VAT. If you want to invest in buying the ePOS hardware, you should expect at least £300. Renting an ePOS terminal is the most common form of ownership in the UK. Business owners prefer it due to its advantages such as customer support in the case of problems and malfunctions. Additionally, most suppliers offer the possibility of keeping hardware and software up-to-date. If you decide to buy an ePOS terminal, the upfront costs might be higher, but in the long-term, this option can be really cost effective. Just get insured that the system is reliable and well maintained. However, keeping the ePOS hardware up-to-date can be costly as every update will be an extra investment. Some suppliers offer support for a certain period of time after the purchase, and others do not. Therefore, when you are making a decision, get informed about all your options and possibilities. With the advancement of technology, software based POS systems emerged into offering more functions than their predecessors. For that reason, wireless or cloud based POS Systems are becoming more common, bringing even more convenience to businesses and their customers. The best way you can choose the right component is by getting as much information as possible and comparing the ePOS systems yourself. Traditional ePOS systems locally store all of the data on internal servers, eliminating the dependencies caused by flaky Internet connection. Its maintenance is done on the business premises and continuous support is available or provided by the supplier. A cloud based ePOS system relies extensively on an Internet because it hosts the databases online, thereby you must make sure you have a fast and reliable Internet connection, especially during the busy hours. You can also access this type of ePOS system from anywhere - a characteristic you will appreciate if you are an ‘always on the run’ type of business manager. Both traditional and cloud ePOS systems have important characteristics. Further down, we present the most important ones in order to help you make the best decision for your business. Your search for new software or a whole ePOS system can be overwhelming. There are a variety of potential software, hardware, and accessories to choose from. In addition, mobile point of sale technologies - mPOS systems - are entering this field, which makes the choice even more complex. The possibility to see purchasing history, sales trends and customer preferences will give the ability to businesses to improve their CRM (customer relationship management). Faster checkouts, inventory tracking, better reports lead to cutting time spent on these tasks, more satisfied customers, higher sales and lower costs - these all add to overall improved efficiency. If you are running a new business or even an established one, buying an ePOS system requires some research depending on which type of ePOS best suits your business. Businesses that are into retail or hospitality may understand the differences between choosing a traditional epos system vs. a cloud based epos system. Nevertheless, we have researched the most renowned and highly reviewed brands of ePOS systems in the UK to provide you with different solutions that fit your type of business. As a successful owner of a hospitality business, you meet many challenges. You need to increase turnover, improve customer service, manage stock and reduce costs. That is why advanced ePOS systems are designed to meet these kind of challenges by bringing time-efficient and powerful tools for your staff. Here are a few of the most popular ePOS systems for restaurants and bars in the UK. Point One is an innovative option for your hospitality business if you are looking for a management tool, a quick service and a customisable solution. It can manage an unlimited number of customers and their data. Point One has email and SMS marketing features so you can manage different marketing channels plus social media platforms. Lightspeed is one of the newest cloud-based POS system with a flair for improvement. Very user-friendly, the system is extremely customisable so you can create schedules, track labor, build menus and monitor sales from anywhere. It allows you to add photos, descriptions and details such as cooking options or toppings. Price starts at £69 per month if you want to lease, and it also comes with solutions for iPad POS system for restaurants. Lolly PoS is suitable for bars and restaurants of all sizes and known for its leading software for hospitality in the UK. Lolly comes with an easy-to-learn interface and a strong customer support. You can integrate online customer management, inventory management and social media management. Data analysis for hourly sales, payment summaries, or product mix is a useful feature of this system. For retailers the main reasons for turning to an ePOS system is for having a complete integrated system for all the shops and actors that play an important role in making sales. Having a system that allows you to manage all your customers, shops, inventories, loyalty programs, staff, marketing and other aspects, comes as a the essence of a productive business model. Vend is a management ePOS system for retailer with multi-channels and multi-locations. Being cloud-based, you can access its administrative functions from any device and any location you are. It is easy to use, provides robust data fields, and the transition from your previous system can be really smooth. Customisation and customer service are well appreciated as well. Nobly is integrating your sales, marketing, e-commerce and inventory operations into one system. The systems allow users to access information from anywhere with any mobile device. Intelligent Pos is an all-in-one, full-featured iPad ePOS solution that can help you control your business, and much more. It offers a range of applications for management the inventory, the customers and the orders, with a range of integrated third party services. Fashion industry is challenging and competitive enough. If you are looking for an ideal solution for your fashion business, get inspired by the following ePOS features. NetSuite allows you to add new channels, business models, brands and geographies, according to your needs. It comes with easy ways to determine the possible issues in your inventory management system. Epos Now is an award winning system that provides an integrated inventory management, retail accounting and customer management. Useful for many other industries, includes lots of features for both staff and products and it is available on the most important operating systems. The system is scalable and can adapt to your business. Talech Register is a solution that integrates the customer management, the analytics and inventory - all stored in the cloud. You can rent the software on a monthly basis and it’s compatible with third-party hardware. The company provides 24/7 knowledgeable customer support via different channels. It has an easy setup and a a user-friendly interface. It also comes with an iPad app. Many of the ePOS systems mentioned above are addressing other business industries than the categories mentioned here. The selection was random without any connection to the brands. For you to make a proper choice for your business, ask for customised quotes from our suppliers. Our providers of the best ePOS system in the UK are here to listen to your enquiries with a free service. You just need to fill in the form and you will receive up to 4 non-binding quotes tailored to your company. You might not realise how much time and money you can save until you incorporate an electronic POS. Here are the main advantages of ePOS systems. Reduce wastage of paper by storing digitally all the perishable hand-written files. This will save time and space at your workplace. EPOS systems will provide you with a more organised working environment where all the bills can be accessed with clicks away. Expect a more user-friendly system that allows you to access reports from any location. The electronic POS will digitally store all the inventories for your stocks of products. Retailers without using an ePOS system will use spreadsheets or paper to create manual processes. Because this leaves lots of room for human error, more than seventy percent of the retailers prefer to use digital inventories. Once you will adapt to the online search for items in your digital miraculous POS system, you will enjoy having your financial data automatically updated. No more wasted time on counting the money at the end of the day, less human errors and simpler operations with your finances. All the transactions and data are automatically saved, thereby you will have an interesting and useful outline of your business. Reports will show you which month, week, day, and time had the highest performance. Many features of the ePOS systems are allowing you to manage your employees, monitor performances by checking who did what and when. Accessing reports will give you the overview of your staff performances, which can help you creating a reward system to motivate them even more. Additionally, the best and worst performing products will be identifiable, which can help you to adapt and improve your product range and offers in the long run. Gathering information about your customers is vital for your business. With ePOS systems you can tailor your marketing promotions for all the target groups by checking the reports of the products they bought and the frequency of their visits. You might want to offer extra benefits to your loyal customers or send them reminders about products they love. The ePOS system will allow you to develop valuable relations with your clients. Having accurate reports about your customers preferences and tendencies, will help you adapt the product range and offers according to your business needs. Compared to simple cash registers, ePOS features can help you understand which products are worth keeping and which are not selling so well. This information is useful for your marketing strategies. For example, you can consider creating a sale campaign for products that are not bringing many customers. All these new assets will contribute to an extra competitive advantage for your business. Multiple features of ePOS systems are reducing the risk of human errors by having an accurate and secure software. Designed to be safe from theft, you will be able to create different logins for each employee and track their activities. You can even set up restrictions on specific actions and access for each user. All the features above lead to time optimisation on most of your daily tasks when using an ePOS System. An electronic point of sale will not only save you time but also help you make more money. How, you ask? By understanding the importance of all its advantages and concentrate on your customers and improving their experience. Happy customers is always worth the investment. By now you must have an idea of all the major benefits of an ePOS system. There are a few more unmentioned. One that might come as a surprise is the affordability. EPOS systems are not necessarily expensive, especially if you are using your existing hardware such as your current computers or iPads. The extra efficiency comes on top of all the aforementioned features and benefits of ePOS systems and it adds the mobility so you can access it from anywhere, the user-friendliness which will improve both your staff and customers’ experience. If you feel lost at this point, or would simply like to get quotes, you can fill in the quote request form at the top of this page. You will receive up to four quotes with epos system prices from our qualified suppliers, with no strings attached. The right selection of an ePOS system can revolutionise the way you make business. With the right back-office software you can speed up your transactions. The main functionality of cloud-based back-office software is the accessibility from both mobile and desktop devices, and their cross compatibility with other softwares. Hospitality and retail businesses have a maximum need of intelligent ePOS systems to make accurate and timely decisions. Our suppliers will provide you with hardware solutions such as barcode scanners or POS terminals. Further down, we present you different options you can look into. When selecting your ePOS solution, extra devices will provide you with more features. Here is a small list of the extra equipment that you can add to your ePOS solution. 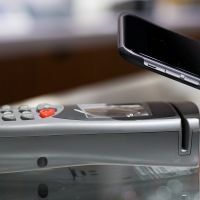 Nowadays, a credit card machine is compulsory, as you don’t want to lose customers because you can’t take their payment. The most common way to process a card is with a chip and a PIN transaction. Notice that not all the systems accept all the different cards. For example, a customer paying with an American Express will generally lead to extra fees. The cost of a credit card machine differs from one company to the other. Some of them will ask for a monthly fee, some will require a payment for each transaction, and others will ask for both. You have to know approximately how many monthly transactions you expect in order to calculate which solution is the most suitable for you. There are a wide range of providers offering cheap card payment machine for small business owners. If you have many items in store with many daily transactions, this device will save you a lot of time. Vendors won’t have to type prices manually, as the barcode reader will quickly show all the product’s information on the POS system. You will need a specific receipt printer according to the size and layout you want your receipts to be. Printing resolution, speed and paper cut option are features that you need to take into consideration. If you think it takes too long to research or if you feel lost and want to know more about the different ePOS solutions, just fill in the quote request form at the top of this page. You will be contacted with professional and reliable suppliers, and will receive up to four quotes with no strings attached. 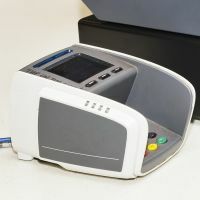 EPOS terminals are a necessary equipment for ePOS systems. They come in different types and sizes according to their utilisation purpose and type of business they are intended for. The ePOS terminals are devices consisting of touchscreen and are usually wireless. They offer different set ups to meet the demands of different industries such as retail, hospitality or fashion. If you are curious and interested in getting quotes for the product of your choice, you can fill in the contact form at the top of the page and we will get in touch with you as soon as possible. We will connect you with our qualified suppliers, who will provide you with free, no-obligation quotes on the requested product. We hope to make your research process easier and convenient! What Are Open Source ePOS Systems? Open source software is usually created collaboratively and publicly. Which means that distribution is usually free with a source code included. The source code can be modified and redistributed, with the possibility for anyone to modify it. This solution might be a good idea for small businesses since most of them are free to use. There are also some disadvantages that should be considered before acquiring an open source ePOS system. You just discovered there are plenty of performant and suitable ePOS systems to make your business more profitable. Yet, how do you choose the right POS for your business? Furthermore, we are going to help you find the most relevant aspects you should consider before purchasing and which mistakes you should avoid. The first thing to have in mind is the type of business you are in. It is really important to know exactly what do you need for your business. Looking for a solution that matches your needs is not easy. Some solutions may be usable for many business industries, others are more specialised and are offering functions for specific actions.Therefore, you have software solutions that can be used in grocery stores, restaurants, bars, spas, jewellery stores, salons, resale store, etc. And, for example, if you need an ePOS system for your restaurants, takeaways orand bars, you might consider the Integer ePOS systems, which specialise in these business sectors. The second most important thing to consider before purchasing is the price. If you are not entirely sure you want to pay for a complete ePOS system right away, consider renting one. monthly or annual payment may be a better investment for your business. Traditional ePOS systems tend to cost more because they include a supplementary service agreement as well as complementing software, which is usually more suitable for larger businesses. Prices are different from supplier to supplier because of their offerings in terms of software and hardware. As mentioned above, in terms of software, each brand has developed advanced software with different capabilities and possibilities for business managers. When it comes to hardware, you should start from deciding to use the old peripherals or buy new ones. Some companies offer basic hardware for cheaper prices and better hardware for more expensive orders. Another aspect of ePOS solutions that is important to think about is after sales service. Does the company offer training for your staff? Do they offer on-site technicians? Is their service available 24/7? Do you need to pay for this kind of service or it is offered for free? You should always compare ePOS systems to find the best one for you.There are few aspects to consider before buying a new ePOS system. Mobile POS systems will offer more choice, as software - apps, can be downloaded, purchased and operated independently from the device. There is more freedom in choosing the app and the device. The choice of hardware or device in this case, is up to the business owner – can range from personal computers through tablets to smartphones. Today there is a wide variety of ePOS software and hardware. It is a good idea to look for feedback for given ePOS solution. It is also possible to try the chosen ePOS solution demo and see if it the right one for you. When you are facing the decision of buying an ePOS system, prepare for an indepth research before selecting which one suits your business’ needs best. There are multiple options and suppliers available in the market with specialised services. That is where we can help you the most by customising the ones that fit you the best. Are you interested in incorporating an ePOS terminal for your business? Simply fill in the contact form on the right side if this page and we will connect you with our qualified suppliers. They will provide you with up to 4, customised and free quotes, no strings attached.